ReFrame is a non-profit organization that employs a unique strategy, a peer-to-peer approach, in which ReFrame Ambassadors engage with senior, industry decision-makers at Partner Companies to implement ReFrame programs. Its goals are to provide research, support, and a practical framework that can be used by Partner Companies to mitigate bias during the creative decision-making and hiring process, celebrate successes, and measure progress toward a more gender-representative industry on all levels. ReFrame’s work is complementary to the anti-harassment and workforce advocacy efforts being conducted by other groups, including Time's Up and additional organizations throughout the industry committed to innovative systemic solutions. More than five years in the making, ReFrame is powered by deep research and a social science approach to systemic change. Springing out of Women In Film’s 45-year history in educating and advocating for women behind the camera, and utilizing Sundance Institute’s deep commitment to programmatic quality and mentorship, including the Women at Sundance program, ReFrame holds the deep belief that progress comes by including men, women and a spectrum of diverse voices in the conversation. Women In Film advocates for and advances the careers of women working in the screen industries––to achieve parity and transform culture. Founded in 1973, Women In Film supports all women working in film, TV, and digital media from emerging to advanced career. Our distinguished programs include: mentoring, speaker & screening series, production training program, writing labs, film finishing funds, legal aid and an annual financing intensive. Women In Film advocates for gender parity through research, education and media campaigns. Women In Film honors the achievements of women in Hollywood through the legacy series, annual Emmy and Oscar parties and our signature event, the Crystal + Lucy Awards. Membership is open to all media professionals and more information can be found on our website: wif.org. Follow Women In Film on Facebook, Instagram, Twitter, and YouTube. Founded in 1981 by Robert Redford, Sundance Institute is a nonprofit organization that provides and preserves the space for artists in film, theatre, and new media to create and thrive. The Institute's signature Labs, granting, and mentorship programs, dedicated to developing new work, take place throughout the year in the U.S. and internationally. The Sundance Film Festival and other public programs connect audiences to artists in igniting new ideas, discovering original voices, and building a community dedicated to independent storytelling. 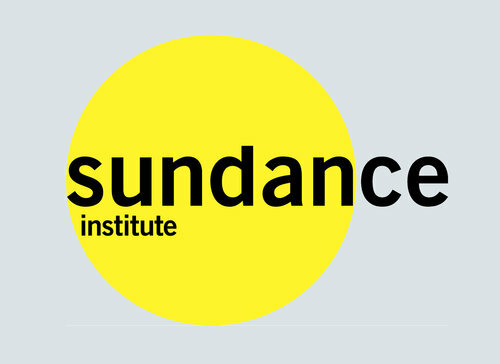 Sundance Institute has supported such projects as Boyhood, Swiss Army Man, Manchester By the Sea, Brooklyn, Little Miss Sunshine, Life, Animated, Sonita, 20 Feet From Stardom, Beasts of the Southern Wild, Fruitvale Station, Sin Nombre, Spring Awakening, A Gentleman’s Guide to Love and Murder and Fun Home. Join Sundance Institute on Facebook, Instagram, Twitter and YouTube. Women at Sundance is the Institute program dedicated to furthering the careers of women storytellers, and works in partnership with Women In Film on ReFrame. Women at Sundance is made possible by leadership support from CBS Corporation, The Harnisch Foundation, and Refinery29. Additional support is provided by Kimberly Steward, Paul and Katy Drake Bettner, Barbara Bridges, Abigail Disney and Pierre Hauser—Like a River Fund, Hollywood Foreign Press Association, Cristina Ljungberg, Susan Bay Nimoy, Brenda Robinson, Lynda Weinman and Bruce Heavin, Jenifer and Jeffrey Westphal, Ann Lovell, Mercer, MAJORITY, Vanessa and Rafaela Evans—Red Butterfly Foundation, The Female Quotient, Visionary Women, Gruber Family Foundation, Pritzker Pucker Family Foundation, and an anonymous donor.